Both Pineapple and Aloe Vera have long been known for their rich health benefits—with each drawing more and more attention lately as new benefits keep being discovered. And the two can provide all of these benefits with just a little daily dose here and there. The catch here is that you’re not looking at a miracle drug. 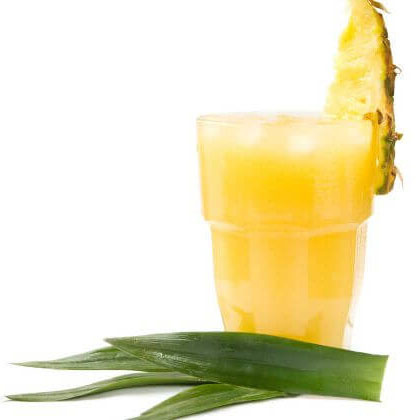 You can’t just mix up an Aloe and Pineapple smoothie and wake up ten pounds lighter. What you can expect from the Pineapple & Aloe diet—combined with regular exercise and healthy meals—is better results faster. So many people quit their diets or their workout routine because they’re not seeing the results they want to see when they want to see them. By synergizing so well with each other, by helping to detoxify your body, your blood and your intestines so efficiently, the combination of Aloe and Pineapple help to deliver those results faster. They’ll help nourish your body if you’re building new muscle, or help it burn fat more rapidly if you’re on a strict cardio regimen. By helping you see the results you’re working so hard for, the Aloe & Pineapple diet might just be the edge you need to succeed. You have my Attention. What do I need to do? Do I eat pineapple all day? You’re free to indulge on a little pineapple if you like, but by no means is it necessary. Instead, the diet can be as simple as drinking one glass of Pineapple Juice shortly before bed, another when you wake up, and then taking your daily dose of AloeElite as recommended. Sure; other versions of this diet will have you concocting “Aloe pulp smoothies” with water and honey. These kinds of things are delicious, to be sure, and it’s great to have a little raw aloe around for its myriad other benefits. But for the busy professional; for the working mom or hard-training Triathlete, AloeElite’s highly-concentrated extract (paired with a proven, high-quality Pineapple Juice) is the perfect foundation for; this diet/lifestyle-enhancing regimen. Just pop one AloeElite pill a day, then grab a Pineapple Juice on your way to work or the gym. Make sure to have one more glass before bedtime, and that’s it. No eating raw onions, no weird dietary constraints like with Atkins, just a regular dose of all-natural goodness for your body. Because if you order now and take advantage of AloeElite’s special, limited-time offer, you can get 3 Bottles of AloeElite for the price of 2—that’s a savings of $159! With 240 capsules per bottle, that’s 720 total capsules—a substantial supply to get you through the first few months of your new Aloe-Pineapple diet, or enough for the whole family to try it along with you. So try it out today—with AloeElite’s power-packed supplements and a couple glasses of pineapple juice, you could find yourself feeling ten years younger … or maybe more! It’s a bold, all-natural solution to the increasingly synthetic stresses that plague our everyday lives—a great way to tap into the power of Mother Nature and supercharge your day!